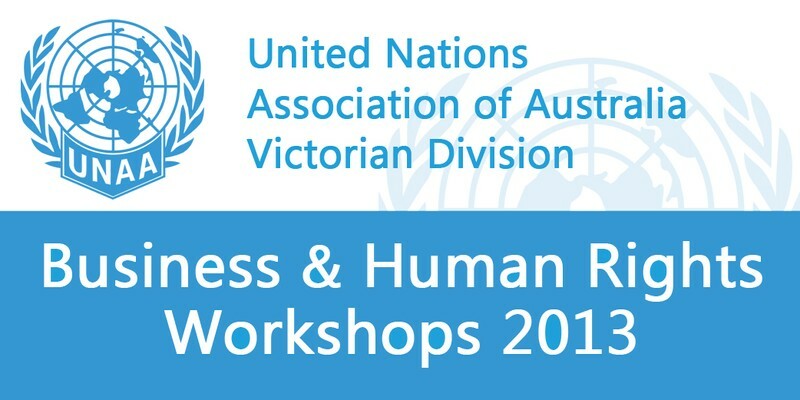 The UNAA Business and Human Rights Workshops build capacity to monitor and manage corporate human rights risks and impacts, providing practical guidance on how to integrate human rights considerations into everyday business practices. The workshops provide a practical learning forum for practitioners from all stakeholder groups, on the international and domestic standards and tools available to help prevent and redress business related human rights harm. The workshops, held in partnership with Allens, are facilitated by Vanessa Zimmerman, Business and human rights expert and former Legal Advisor to the United Nations Special Representative on Business and Human Rights. The workshops are an essential training program for corporate responsibility and sustainability managers, investors, governance, risk and compliance managers, and corporate lawyers on the implementation of the UN Guiding Principles - the global standard of practice on business and human rights. They invite business, government and NGOs professionals wanting to learn more about business and human rights and how to apply the UN Guiding Principles in practice. Participants who attend the entire series of 6 workshops are exposed to a full package of learning on the business responsibility to respect and will be well equipped to manage business related human rights risks.